The Bone Broth Cookbook Review: A USER'S EXPERIENCE! The Bone Broth Cookbook is a 379-page cookbook, unlike any you have read before. It’s educational and unique, making it perfect for anyone who’s interested in living a more balanced lifestyle. Learn all about the history and benefits of bone broth, before moving into more than 80 irresistible recipes. Ready to boost your health and treat your taste buds? If so, this book is for you! The Bone Broth Cookbook is a complete program, offering up advice and scientific data, before listing dozens of nutrient-dense recipes. It is a great book for anyone interested in nutrition and health, especially those who would like to alter their current diet or lifestyle. This book will make you rethink everything you thought you knew about bone broth in relation to your body and health. 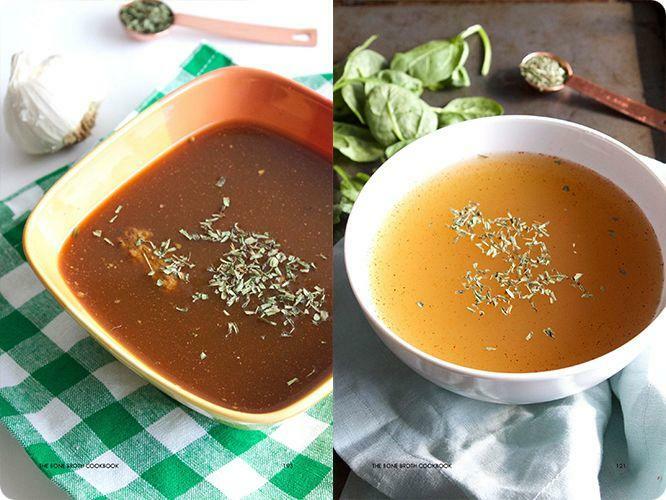 2 What to Expect From the The Bone Broth Cookbook? Within our modern society, we often forget to go back to our roots. After all, our bodies continue to crave what our ancestors ate — not processed food. Bone broth is underutilized in many modern cultures, although it’s a rich source of nutrition that can be enjoyed on a budget. Learn how bone broth can boost your health, motivating you to try some or all of the recipes listed at the end of the program. Being nearly 400 pages in length, you will not be disappointed by the level of detail. With beautiful pictures to match, you’ll want to try all of the recipes time and time again. About the author: Casey Thaler is more than qualified, completing three successful books before the age of 29. He has written over 150 specialized articles on fitness, health and nutrition, being featured in a wide range of magazines and respected websites. He continues to travel around the country, educating those in need. What to Expect From the The Bone Broth Cookbook? For ANYONE who would like to test out the beneficial health effects of bone broth, you won’t find a more complete book. Best of all, it’s attractive to flip through and interesting to read. If you’re vegetarian, no problem! 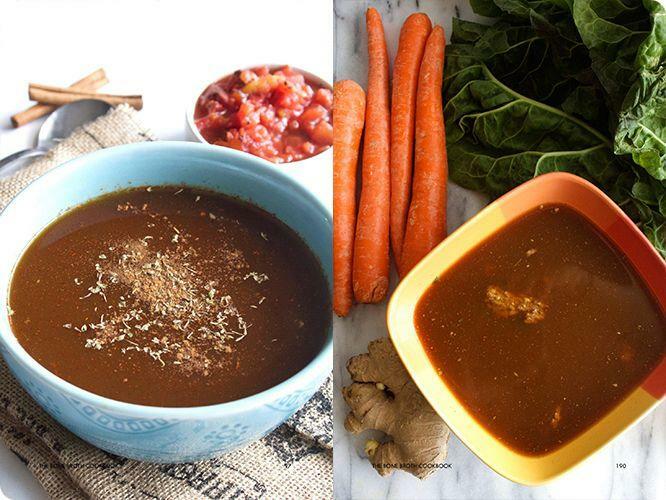 By replacing the bone broth with vegetable broth, you too can lead a healthier lifestyle. Always source the highest quality ingredients, including 100% grass-fed, organic broth — or make your own! In relation to protein, choose wild-caught seafood and pasture-raised eggs. Chapter 1: Why Bone Broth? — Casey begins by introducing you to bone broth in relation to its scientifically proven benefits and brief historical significant. Chapter 2: History of Bone Broth — You’ll then move into a more detailed historical account, which is incredibly interesting. Covering a number of cultures, it’s clear that bone broth holds a place in modern society. Chapter 3: Benefits of Bone Broth — This is a rewarding chapter, as it educates you on why you should eat bone broth, before introducing you to a long list of irresistible recipes. Chapter 4: Amino Acids — On that note, Casey gets a bit more specific in this chapter, highlighting the importance of amino acids (as they are the building blocks for protein). There are essential amino acids, which mean that you must consume them within your diet. An egg, for instance, is considered to be a complete protein, because it contains ALL of the essential amino acids. Chapter 5: Protein and Proteoglycans — Highlighting a molecule found in bone broth, you’ll quickly realize the value it offers your body, especially in relation to your bones, joints and even your skin. Chapter 6: Marrow — Perhaps you have had marrow before, but did you know that it’s one of the most important parts in terms of a predator and prey? Generally eaten first, this is likely due to its rich nutrient density. Learn how our ancestors used marrow and how it influences positive neural and overall health. Chapter 7: Cartilage — Highlighting the importance of cartilage in terms of its function, it’s imperative that you protect it. Consuming cartilage within your diet, can help you do just that. Chapter 8: Bone — It’d be hard to make a The Bone Broth Cookbook without speaking about the importance of strong bones. This chapter highlights the ways in which your bone will benefit from consuming the minerals found within bone broth. The benefits and importance continue in Chapter 9: Collagen, before ending with, Chapter 10: Conclusion. Whether you are interested to learn more about nutrition, or you want to improve your health, the The Bone Broth Cookbook will help you do just that. Of course, benefiting your health will be the greatest benefit, but you will also love how this book pushes you outside of your comfort zone in the kitchen. Encouraging you to experiment and try new things, it really is an exciting program. Best of all, it’s written incredibly well and is very attractive to read. Accompanying pictures make each recipe look as good as it will taste. Still not convinced? Well, you will also receive a money back guarantee, so there’s no risk involved! Are you ready to see what all the fuss is about in terms of the ‘caveman’ lifestyle? Do you want to improve your health through delicious recipes? If so, this program is certainly for you — order today!